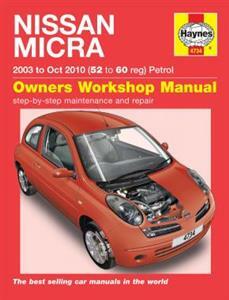 Haynes repair manual for the Nissan Micra (K12 series) 2003-2010 petrol. Does NOT cover diesel models, C+C Coupe Convertible or Ã¦K13 SeriesÃ† introduced November 2010. Does NOT cover 1.6 litre petrol engines.